The Kinect for Xbox 360 has been a roaring success for Microsoft, selling 8 million units so far and giving the entire Xbox platform a new lease of life. But the potential for the motion and voice sensor has perhaps been even more exciting to many, and that includes people within Microsoft who are looking to the future of how we interact with our devices. "Even with all the excitement, the reality is that our industry – Microsoft included – has only scratched the surface of what is possible," blogged Microsoft's Steve Clayton. "Most people's view of natural technology is sensory related – touch or speech – but Microsoft's exploration into NUI is multi-dimensional. "By combining sensory inputs with the knowledge of what you're trying to do (contextual awareness), where you are and what is around you (environmental awareness), 3D simulation and anticipatory learning, we can foresee a future where technology becomes almost invisible. "Imagine a world where interacting with technology becomes as easy as having a conversation with a friend. "Natural and intuitive technology like Kinect can be more than just a great platform for gaming and entertainment – it opens up enormous opportunities to address societal problems such as healthcare, education, and providing greater access for persons with disabilities." 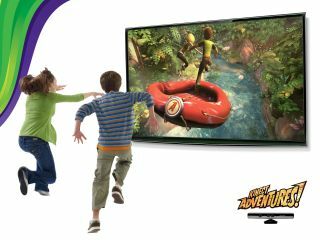 Clayton insists that the Xbox 360 Kinect is just the start, and that Microsoft will be attempting to push the envelope in how we interface with our technology. "It's an exciting time for Microsoft, our customers and partners as we explore the possibilities NUI has to offer and how we can make them a reality – Kinect for Xbox 360 is just a first step," he wrote. "For our part, we'll look to apply our learning and technology to fields such as healthcare, education and beyond. We'll continue to push the boundaries, lower the barriers of use for technology, and I think we'll surprise people with the true potential of NUI."